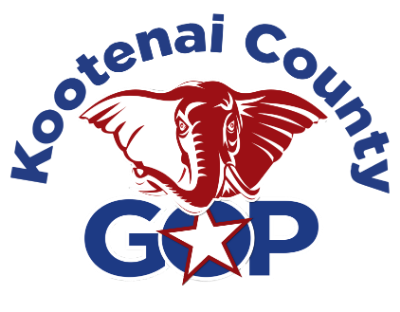 Kootenai County’s Republican Central Committee is composed of 70 elected committee persons from each neighborhood (precinct) and is the official vehicle for building and shaping the Idaho Republican Party at the county level. Members meet monthly to discuss and resolve issues relating to party business- raising and directing funds, training and aiding candidates, preparing and releasing official resolutions of support for political positions, and electing delegates to the statewide conventions and meetings. Join us in our mission to expand freedom for everyone here in North Idaho.